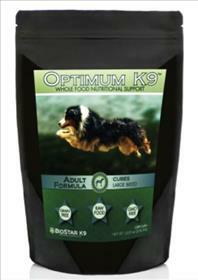 Whole food multi nutrient supplement for dogs. Includes Seagreens for added nutrition. Provides macro and micro minerals plus antioxidants from fresh water algae (Spirulina) as well as from Seagreens (Ascophyllum Nodosum) that contain the sulphated polysaccharides, which play an important role in cell-to-cell communications.